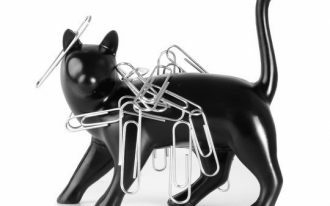 In modern days, many people often do their work at home. Many thanks to internet that gives the easier access to possibly do extra work all day long at the home office. Of course, you need comfortable working space accommodating you when you need a special space to work efficiently. 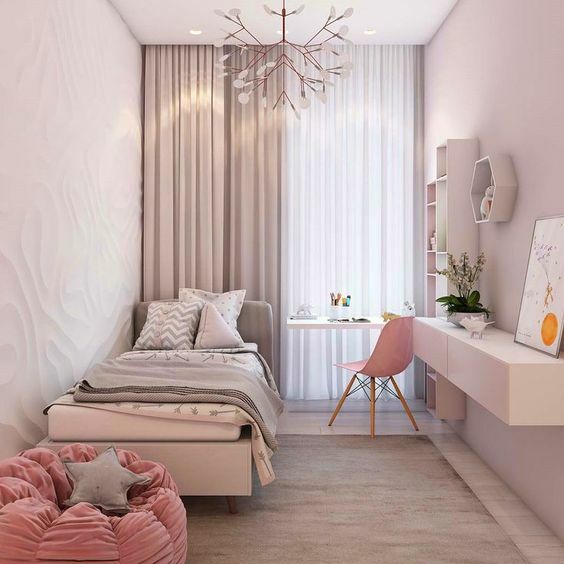 The home office isn’t always a separated one; you can creatively set your own compact home office in some spaces where you’ve often been there such as living room, bedroom, dining room, and even kitchen. We’ve collected a mass of ideas of compact home office in different spaces of interior. Just enjoy. Re-set the layout of furniture has created the new space where you can add a set of home office. To always stimulate you to get inspired more and more, it would be better if you put your working against the window. Let the space between sofa and desk opened and clear from any things to make that space airy and cozy to mobile. A working space inside the Armoire? Why not. This idea would be a new look as well as a productive space. Let the armoire’s doors opened and settle your laptop on the armoire’s lowest base as your new working desk. 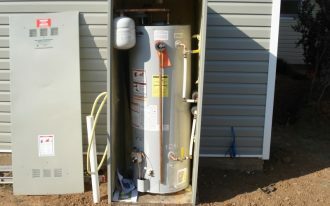 The upper section could be used for small storage solution. You can also make the armoire’s wall as a creative board for the important notes (schedules, job list, etc). 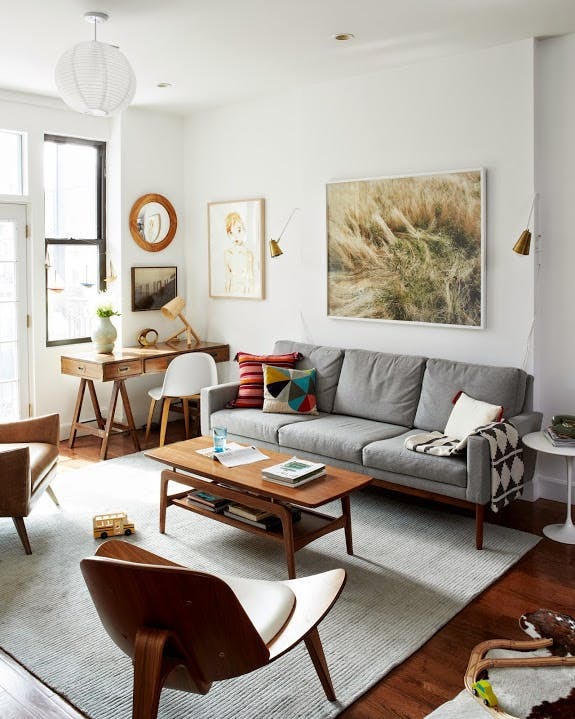 Need a great idea to optimize an abandoned space like this corner space? Make it your favorite spot by turning it into a mini home office. It will be extremely compact and functional. You just need to add such a small dressing-like piece as your working desk and garnish it with small portion of potted houseplant. 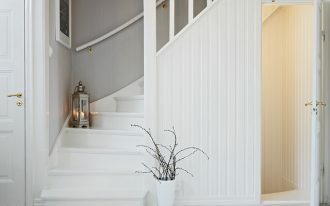 Let your hallway be one of productive & functional spaces. Create a small working space and spend your busy hours there. 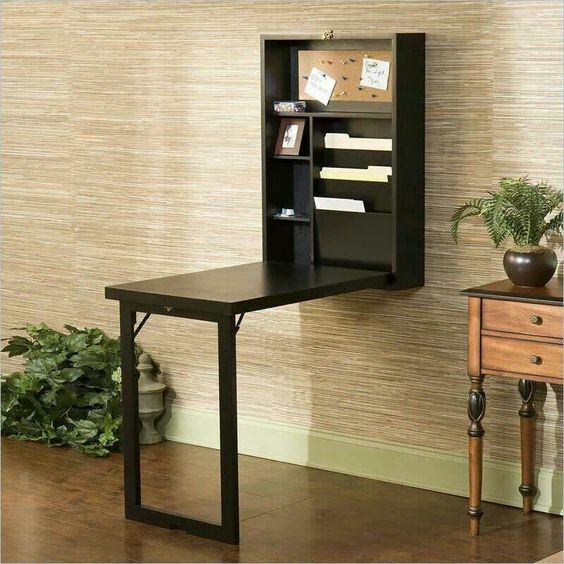 For narrow hallways, select such wall-mounted & folded working desk for support your limited space. Make it as a stand-mode working desk. You can add a seat if needed. Light, clean, and modern. 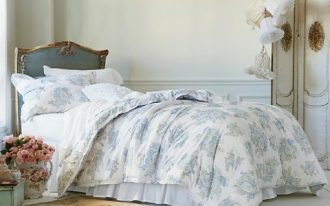 This small bedroom looks great with a lot of mini furnishing pieces for functional yet space-saving. 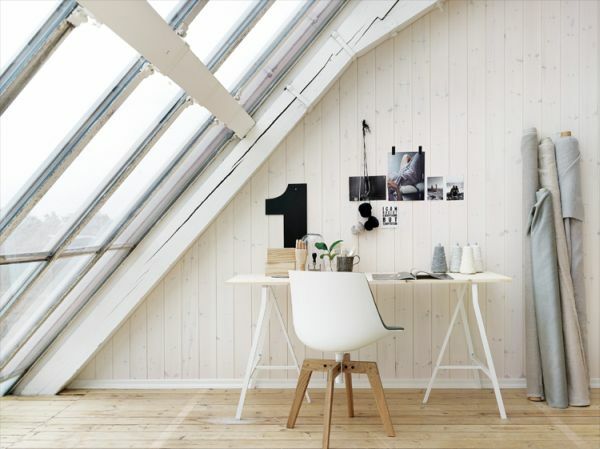 The home office just consists of floating desk and scandinavian-style chair. It’s not a magic when you’re surprised by a cool and effective-space compact home office inside your closet. This would be a brilliant idea for those who love a practical and functional working space. The closet’s sections are designed for storage space as well as computer/netbook desk, and about the chair, it’s flexibly used based on your need. Set the wallpaper on closet’s walls for more attractive background. 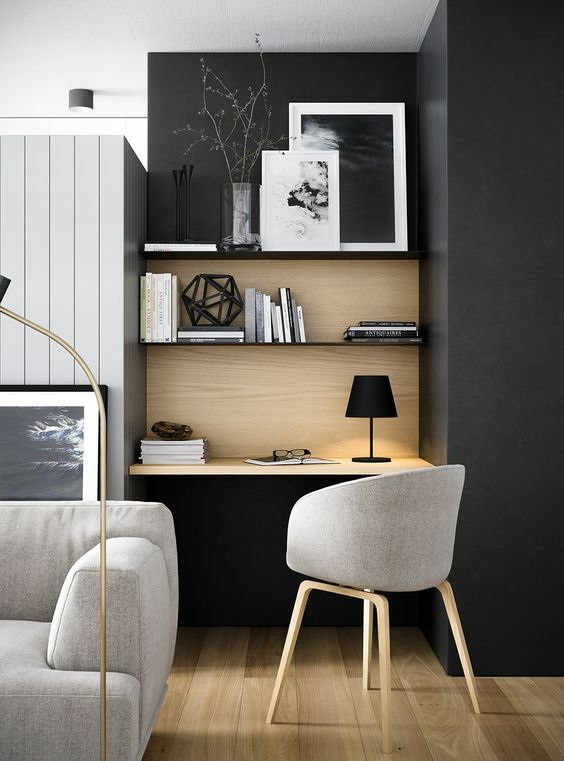 Dark and wood color may be your favorite schemes for your compact home office. Get intense of light by putting the working desk directly in side of window. This idea is called the Nordic home office design in which it focuses on practicality. 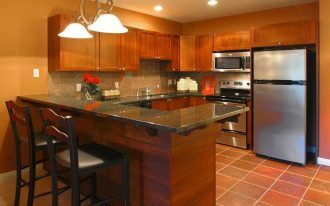 Visually, the design should be clear and clean, no unnecessary things included. 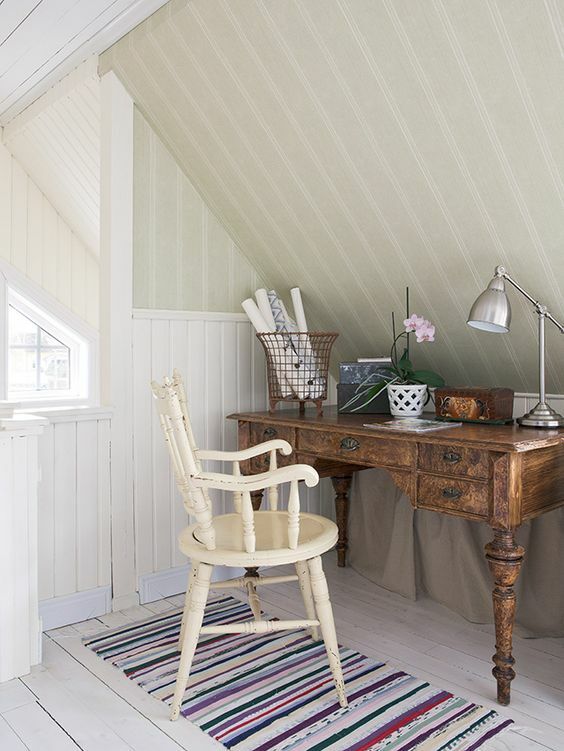 Different with previous one, this attic home office is smaller and furnished with antique furniture pieces. Both chair and desk are selected in dissimilar tone to enrich the textural color in room, but the striped runner here successfully takes my interest, especially by its fun colors. Working space doesn’t have to be formal. It should be so homey. 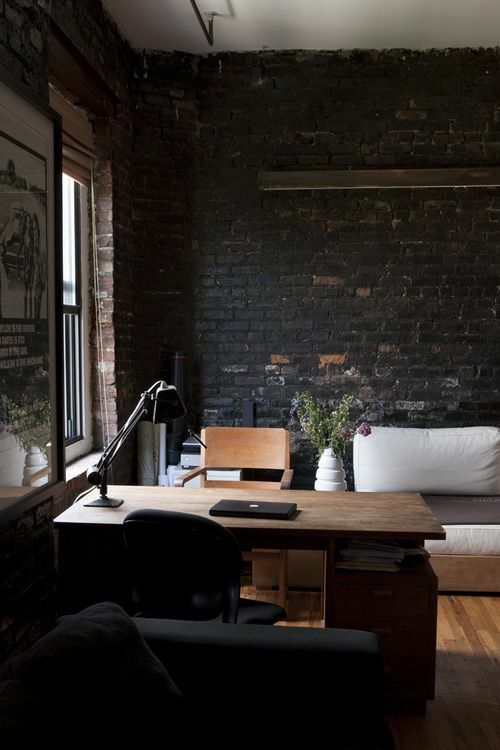 But if you dream about a formal as well as a homey one, adopt this compact home office idea. 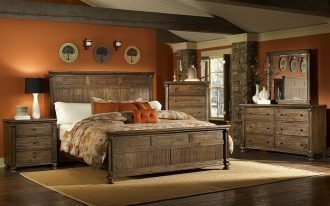 Overall, the design looks formal but you can add something warm and cozy for a bit homey. Favorite books and accessories choices are just the examples that reflect the ‘really you’.